If you have a NO WATER EMERGENCY and you get your water from a well, you need to call us—a licensed well and pump professional to get your water flowing again! Before you call the plumber, call the well water experts at Beaver Hill Well & Pump. How old is your water well pump? The same age as your drilled well? Older than 10 years? 12 years? 15 years? If you answered yes to 10+ years old it might be a good time to have your well pump system checked. 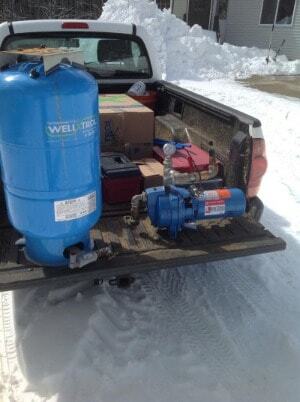 If you have a NO WATER EMERGENCY and a drilled well… MOST of the time the problem has something to do with your well pump system or pressure tank. AND, usually, if it’s because your well pump has called it quits, there might not be a warning before you have no water. Call us at 207-324-1645 to set an appointment.